Attempts to evaluate the intelligence of early humans is one of the most challenging tasks to confront students of human evolution. At least some of the problems in this context stem from the difficulties of defining exactly what 'intelligence7 implies in a psychological or cognitive sense, and the complexities of the current arguments among cognitive psychologists about how to measure and evaluate varying degrees of intelligence, in different individuals and animal species (Parker & Gibson 1979; Gibson 1990; Wynn 1991). There are equal problems in attempting to relate specific aspects of intelligence (visual skills, communication, memory etc.) to specific areas or neurological structures in the brain (Passingham 1989; Gibson 1988, 1990; Whitcombe 1995). into single sequences of action; the ability to form complex mental maps and images of, for example, the spatial and temporal distribution of different economic resources within the environment; the ability to coordinate the behaviour of individuals with that of increasingly larger numbers of individuals; and, above all, the capacity to visualize and construct simultaneous, alternative mental scenarios for the behaviour and movements of both other animal species in the environment and members of one's own species. While the precise relationships of these patterns of behaviour to specific neurological systems are still unclear (Passingham 1989; Gibson 1990, 1993; Whitcombe 1995), the features discussed by Gibson provide some useful working criteria for comparing the relative complexity of intelligent behavioural patterns among different primate species and potentially for those which emerged during the various stages of human evolution (see also Wynn 1991; Tooby & Cosmides 1992). The central issue is how we can use specific aspects of the archaeological records of human behaviour to evaluate possible shifts in intelligence during the course of human evolution - and specifically during the transition from archaic (i.e. Neanderthal) to fully modern humans? In other words how far can we use the archaeological evidence for different aspects of human behaviour as a structured test to evaluate changing levels of intelligence or mental evolution (Gibson 1985; Parker 1985; Gibson & Ingold 1993; Gowlett 1984, 1985)? Surprisingly few attempts have been made to examine the archaeological record in these terms. The two most relevant studies are Thomas Wynn's (1979, 1985, 1989, 1991) attempts to use a Pia-getian perspective in analysing the development of early tool-making abilities and some of the more recent speculations of Lewis Bin-ford (1987,1989,1992) regarding evidence for increasing Time depth' in the planning and structuring of activities over the period of the Middle-to-Upper Palaeolithic transition. Wynn's studies are based on the classic investigations of Jean Piaget into patterns of cognitive development in human children -using this as a possible analogue for the development of similar mental abilities during the course of human evolution (Piaget 1960, 1970). Piaget identified three major stages of cognitive development, which he referred to respectively as the 'sensorimotor' stage, extending from birth to about 18-24 months; the 'pre-operational' stage, from 18-24 months to around 6-7 years; and the fully 'operational' stage, from 6-7 years onwards. Although each stage was defined by a number of different cognitive aspects (levels of communication skills, emotional reactions, social relationships etc. ), Piaget argued that each stage was reflected equally in the ways in which children visualize and manipulate physical objects. Piaget was convinced that in recognizing these sequential stages in childhood development he had also identified the major stages in the mental evolution of early human populations - i.e. that ontogeny could be assumed broadly to mirror (or 'recapitulate') phylogeny - an issue which has generated endless controversy in the subsequent literature (see for example Longuet-Higgins et ah 1973; Parker & Gibson 1979, with following discussion; Lock 1993). It is this particular viewpoint which has been taken up and developed in Wynn's studies of the development of early stone tool technology (Wynn 1979, 1985, 1989, 1991, 1993). To summarize Wynn's results, he believes that when stone tools are evaluated in terms of the level of complexity and conceptual vision implied by their sequence of manufacture, the whole spectrum of stone-tool production documented during the last two million years can be compared closely with the two final stages of Piaget's developmental scheme - i.e. with the stages of pre-operational intelligence and full operational intelligence. The critical conclusion from an archaeological perspective is that the major threshold between pre-operational and operational stages seems to be reflected in the patterns of tool manufacture during the middle or later stages of the Acheulian - i.e. by around 300,000 years BP. 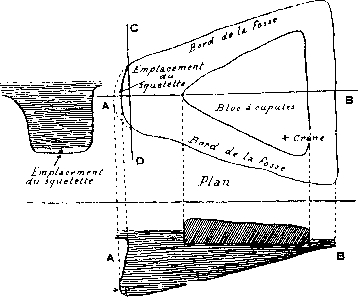 By this stage, Wynn argues, there is evidence that the manufacture of regular, carefully retouched hand-axe forms involved a perception of both bilateral symmetry (apparent in the plan of the tools and in the less readily-perceived cross sections), together with closely related ideas of 'reversibility' in the patterns of flaking applied alternately to the upper and lower faces of the tools (Wynn 1979, 1985, 1991). Seen from a Piagetian perspective, this symmetrical, carefully controlled tool manufacture could not have been achieved by any modern individual who had not attained the fully operational stage of spatial and visual competence - normally achieved in modern children at an age of around 6-7 years. Wynn goes on to argue (significantly, in terms of the present discussion) that he can see nothing in the subsequent patterns of tool manufacture during either the Middle or Upper Palaeolithic to suggest that there were any further significant advances in basic cognitive abilities beyond those reflected in the production of hand axes (Wynn 1985: 41). How far Wynn's conclusions in this regard are justified could be debated from several different perspectives. Intelligence is by definition a complex, multi-facetted phenomenon, and it is possible to argue that there could be several other dimensions in which basic cognitive abilities could have developed (for example in the spheres of memory, communication, social awareness etc.) which need hardly be reflected directly in the manufacture of stone tools (Gibson 1985, 1988, 1990, 1993). More significantly perhaps, Piaget recognized two major substages within his final stage of fully operational intelligence -- those of 'concrete operations' and 'propositional operations' respectively -which are not discussed directly in Wynn's analysis, and which could be highly signifi cant for some of the later cognitive developments over the period of the Middle-Upper Palaeolithic transition (see Parker & Gibson 1979; Gibson 1985; Parker & Milbraith 1993). Finally, as argued earlier, one could contest strongly on theoretical grounds the notion that all forms of human cognitive evolution are likely to have come abruptly to a halt as long ago as 300,000 years - i.e. precisely at the time when most of the social, technological and perhaps ecological stimuli to human development are likely to have become most intense (Alexander 1989; Gibson 1985, 1988; Parker & Milbraith 1993; Aiello & Dunbar 1993). Nevertheless, Wynn's application of Piaget's basic perspective is refreshingly articulate and stands as a seminal contribution to the study of human mental and cognitive development. Binford's speculations on cognitive development during the Lower, Middle and Upper Palaeolithic periods are more intuitively based than those of Wynn, and relate mainly to his perception of the varying degrees of 'time depth' and long-range planning implied by various activities reflected in the archaeological records of the Palaeolithic succession (Binford 1985, 1987, 1989, 1992). Binford argues that in the behavioural records of Upper Palaeolithic groups - as well as in those of all recent hunter-gatherers - we can document an impressive capacity to plan and structure activities over a relatively long time-span and with a clear perception of ultimate goals. Thus, tools and equipment tend to be produced long before they are actually needed for use, and with an anticipation of extended periods of use. Occupation sites are similarly planned and structured with a view to relatively long periods of occupation and with an anticipation of the needs that will arise during these periods of extended use. Systematic movements of camp sites are made with a view to intercepting or harvesting food resources at long distances from the earlier camps, and so on. These capacities for long-term planning, forethought, anticipation etc. are seen by Bin-ford as central to the behavioural adaptations of all present-day hunter-gatherers, and he believes they are equally explicit in the behavioural records of most Upper Palaeolithic groups (Binford 1989; see also Gibson 1985,1988; Parker & Milbraith 1993). The main thrust of Binford's argument is that this dimension of long-term planning, forethought, prediction etc., appears to be largely lacking from the archaeological records of the Lower and Middle Palaeolithic periods (Binford 1987,1989,1992). He argues, for example, that Lower and Middle Palaeolithic tools were normally manufactured, used and discarded within a short span of time and, even if occasionally transported across the landscape, rarely remained within the behavioural system for more than a few days at most (Binford 1973). He similarly argues that most food resources exploited by Middle Palaeolithic groups were processed and consumed close to, if not actually on, the point of procurement, with little attempt to anticipate regular shifts in distribution or location of resources at different times of the year. In the same vein he argues that almost all claimed occupation sites of the Lower and Middle Palaeolithic appear to reflect very short-term activities, mostly by small-scale human groups, with little evidence for the organization or structuring of occupation surfaces with a view to long periods of occupation. Many of Binford's conclusions could no doubt be contested from several aspects of the archaeological data. As discussed in Chapter 5, there is ample evidence that certain varieties of high-quality raw materials were systematically transported across the landscape by Middle Palaeolithic groups (see Figs 5.5, 5.8, 5.18), in some cases apparently from specialized quarry or procurement sites (Geneste 1985, 1989a; Turq 1989a). There is also strong evidence that some specialized quarry or workshop sites were devoted to the production of one or more specific artefact forms (such as Levallois flakes or cordiform hand axes) which were subsequently carried away from the sites for further use or shaping elsewhere (Geneste 1985). And as Tavoso (1984) has persuasively argued, there can be no doubt that fully shaped tools were frequently carried for long distances into areas where lithic raw material supplies were entirely lacking, with an anticipation of their use far from the original point of production. All this evidence could therefore be held up as proof that Neanderthal groups did have a clear perception of time-structured technologies and of potential future needs, in at least certain aspects of their activities. Nevertheless the central point of Binford's argument is that whatever degree of forethought, prediction, long-term planning etc. can be identified in the behaviour of Middle Palaeolithic groups, would seem to be greatly exceeded by the patterns that one can document in the ensuing Upper Palaeolithic. In this respect, my own perception of the archaeological evidence coincides closely with that of Binford. In the Upper Palaeolithic, for example, we have evidence not only that high-quality lithic raw materials were transported over the landscape in much more substantial quantities than in the Middle Palaeolithic (Fig. 5.20: Geneste 1989a, 1990) but also that certain specific commodities (most notably marine shells) were in some cases transported over much greater distances (Fig. 13.6), in some cases 500 km or more (Roebroeks et al 1988; Gamble 1986; Bahn 1982; Geneste 1992; Taborin 1993). In the same vein there is no doubt that certain Upper Palaeolithic occupation sites (particularly those of the Upper Perigordian and later periods) do show much clearer evidence for highly structured internal organization than any of the sites so far documented from the Lower and Middle Palaeolithic (Figs 9.31. 9.32), in a way which almost certainly reflects the anticipation of much longer periods of occupation (Mellars 1973; Soffer 1985a, b; Gamble 1986; Combier 1988). Most signifi cant of all perhaps is the apparent evidence for deliberate storage of food resources on certain Upper Palaeolithic sites - if indeed some of the large pit-like features recorded at open-air sites in central and eastern Europe can be reliably interpreted in these terms (Soffer 1985a, b). Finally, I have argued elsewhere that some of the strategies of hunting documented in the Upper Palaeolithic sites of southwestern France appear to reflect a more sharply focused exploitation of reindeer resources than anything so far documented in the preceding Mousterian sites of the same region (see Chapter 7, and Mellars 1989a: 357-8). This seems to be indicated not only by the extremely specialized composition of the faunal assemblages recovered from many sites (often with up to 99 percent of reindeer remains - even in sites dating from the earlier stages of the Aurignacian: cf. Fig. 7.4) but also by the conspicuous clustering of these specialized reindeer-hunting sites along certain restricted stretches of the Vezere and Dor-dogne valleys (Fig. 8.2), which are likely to have formed the major and most predictable migration routes for reindeer herds. I would argue that it is this aspect of the evidence which demonstrates most directly the capacity of Upper Palaeolithic groups to plan and organize their subsistence activities in a more efficient and strategic way than the preceding Middle Palaeolithic groups in the same region. Upper Palaeolithic transition (cf. Gibson 1985, 1988; Parker & Milbraith 1993). But as Binford has emphasized (1987, 1989), there are potentially other, less dramatic explanations for the same patterns of change. Bin-ford's suggestion is that this major shift could indicate the emergence not of increased intelligence but simply of new cognitive structures, marked specifically by the appearance of more highly structured forms of language (Binford 1987: 692). It is this issue which raises some of the most intriguing questions in current studies of the character and significance of the Middle-Upper Palaeolithic behavioural transition.